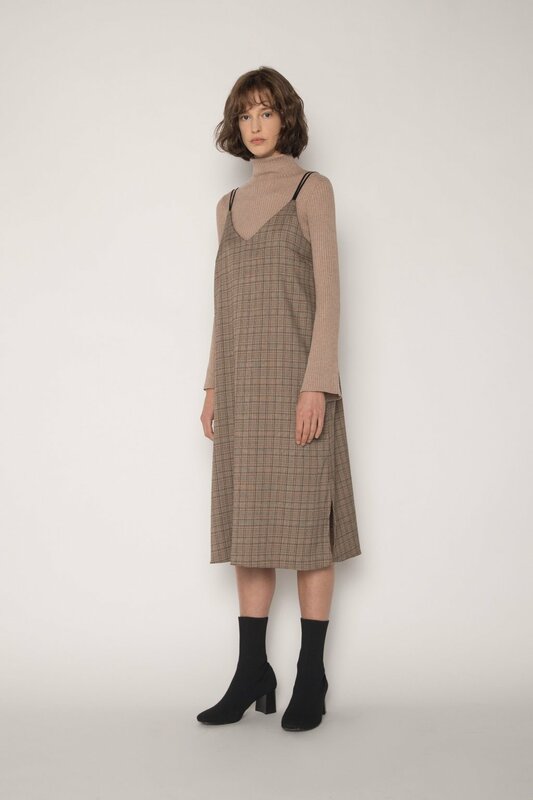 This lightweight woven slip dress features a neutral brown tweed pattern that evokes a vintage feel. 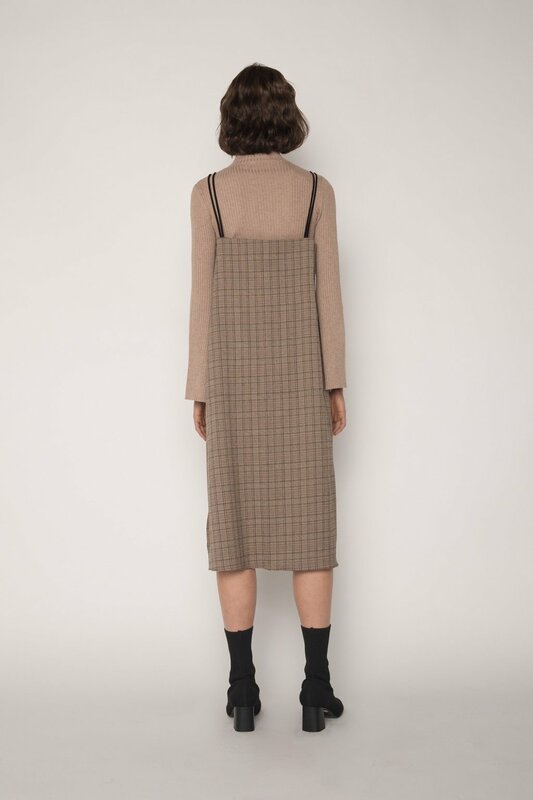 Featuring an elasticated double strap and split sides on the hem, this dress is easy to wear and style for different occasions. Wear yours over a creamy turtleneck and top it off with a blazer and ankle boots for a more modern edge. Care Instructions: Machine wash cold and lay flat to dry. Cool iron.